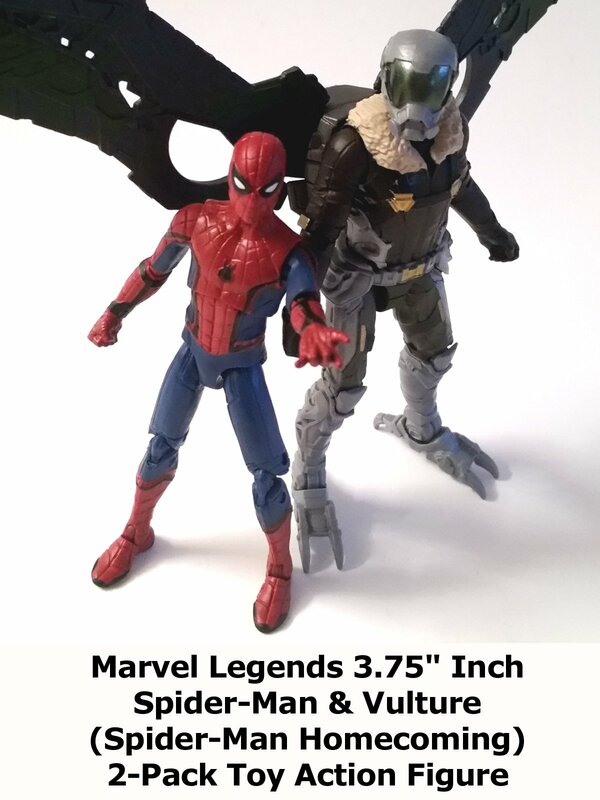 This is a review on the Marvel Legends 3.75" inch Spider-Man Homecoming action figures of Movie Spider-Man and Movie Vulture. Made by Hasbro this set includes both toys and is fantastic because it's a one and done item. You don't have to buy anything else and you got both of the main movie characters. The sculpt and details are nice, but could of used a little more articulation. Would recommend.